I don't know about you, but I get at least one email or phone call a week from an SEO expert. Typically, I will take the call or schedule a meeting because I am curious if there is anything I am missing in my SEO strategy. While not meant to be a slam against SEO service providers, you really should look at DIY SEO before you pay. 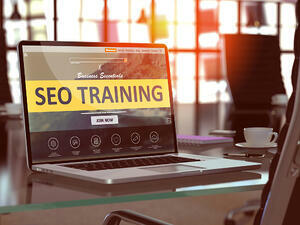 Before you pay for SEO services, here are some things you need to know. HubSpot has an easy-to-understand definition: SEO stands for search engine optimization— that much has stayed the same. It refers to techniques that help your website rank higher in search engine results pages (SERPs). This makes your website more visible to people who are looking for solutions that your brand, product, or service can provide via search engines like Google, Yahoo!, and Bing. The primary goal of SEO is to drive more traffic to your website. If you dive a little deeper, what you probably want is your ideal customer to visit your website so they can purchase your product or service. This is an important difference. Instead of just stuffing a bunch of keywords into your blog or web page, you will want to use topics and phrases that solve your customers' problems. Think about how you perform an internet search. If you are like most people, you ask a question looking for an answer. This is why topics and phrases are a better SEO strategy than keywords alone. As you can see in the image above, I had a very specific search request. Notice I did not follow a bunch of "steps" along the buyer's journey. Google has some interesting observations on the buyer's journey and how consumers are searching the internet now: "Forget everything you know about the marketing funnel. Today, people are no longer following a linear path from awareness to consideration to purchase. They are narrowing and broadening their consideration set in unique and unpredictable moments. People turn to their devices to get immediate answers. And every time they do, they are expressing intent and reshaping the traditional marketing funnel along the way." You can't manage what you can't measure. 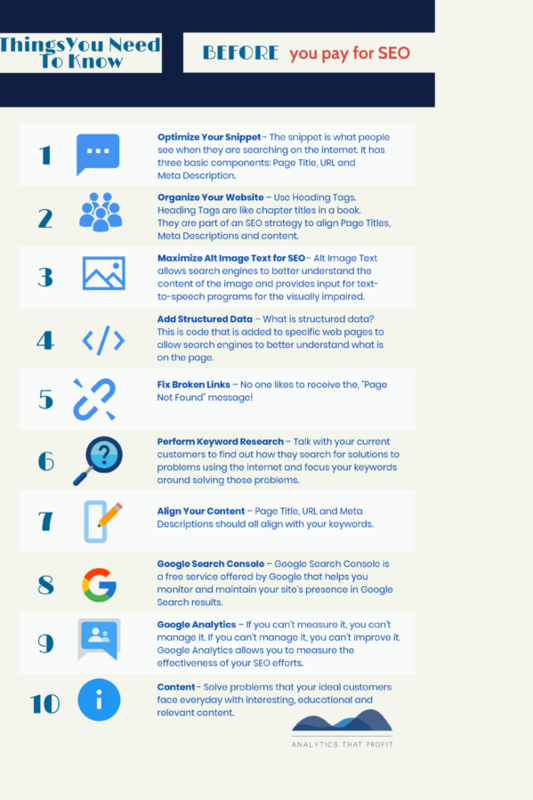 Here is a list of items that your SEO specialist should be implementing on your behalf. While some of the terms may seem unfamiliar to you, it would be worthwhile to know exactly what they are and how they relate to connecting your services to the ideal buyer. No we are not talking about a haircut! The snippet is what people see when they are searching on the internet. It has three basic components: Page Title, URL and Meta description. Page Title (blue text) - Get to the point. Deliver your message in 70 characters or less. URL (green text) - Focus on the keywords for which you want to be found in search. Meta Description (black/gray text) - Give a clear reason why they should visit your website. Heading Tags are like chapter titles in a book. They are part of an SEO strategy to align Page titles, Meta Descriptions and content. H1 Heading Tags can be thought of as chapter titles in a book. Other Heading Tags like H2, H3, etc., are like those words under a chapter title in a book that tell you what to expect. These provide meaningful input to search engines to better understand the page content on your website. you want to use in your blog or landing page. 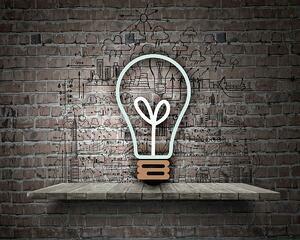 It is called: Conceptual image of light bulb on wall with sketches of ideas. That's nice, but it has absolutely nothing to do with the content on your page. 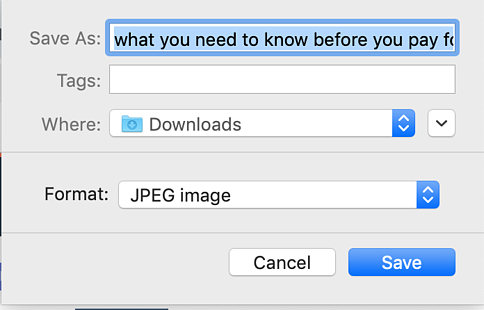 If you right click the image above and hit, 'save image,' you will see the alt image text. Now, right click the image to the right. We have added alt text that aligns with this article. Alt Image Text allows search engines to better understand the content of the image and provides input for text-to-speech programs for the visually impaired. What is structured data? This is code that is added to specific web pages to allow search engines to better understand what is on the page. Structured Data is very useful for Blog Posts, Product Pages and Service Offerings. Google has made this easy with their Structured Data Testing Tool. No one likes the, "Page Not Found" message! We really like using the Check My Links extension for Google Chrome. Use this tool to fix any broken links on your site. We find many people have unrealistic expectations around keywords. If you have a relatively new website and/or just beginning to publish content on your website, you most likely won't be on page one for a keyword that is used by a million other websites. It is important that you talk with your current customers to find out how they search for solutions to problems using the internet and focus your keywords around solving those problems. Quality over Quantity. 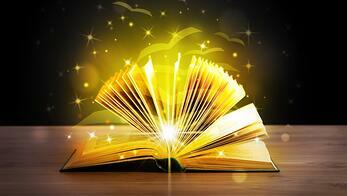 A useful tool to help you find high quality keywords is Keywords Everywhere. We use the paid version and find it very useful. If your Page Title, URL, and Meta Description are about yellow sneakers, then your page content must be focused around yellow sneakers. You will hear the term, "Black Hat SEO," for all the ways to game search engines. Frankly, that is too much work and can have negative consequences. Why try to cheat, when the rules are available to everyone? Google tells you exactly how to do this in a Free SEO starter Guide. Google Search Console is a very useful in helping you determine what content is resonating with your audience and what content is falling flat. Google Search Console is a free service offered by Google that helps you monitor and maintain your site's presence in Google Search results. You don't have to sign up for Search Console for your site to be included in Google's search results, but doing so can help you understand how Google views your site, which helps you to optimize your site's performance in search results. 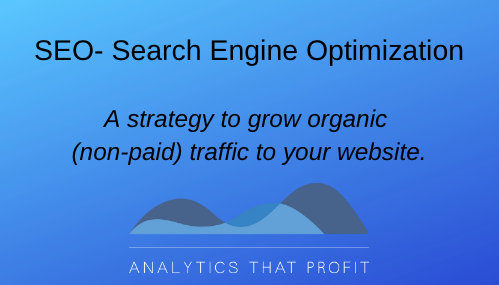 To maximize results, connect Search Console to Google Analytics. If you can't measure it, you can't manage it. If you can't manage it, you can't improve it. Google Analytics allows you to measure the effectiveness of your SEO efforts. We have found that listening to questions people ask about the problems they struggle with is very helpful in content idea creation. Social media groups and communities are a great resource for ideas. Pro Tip: Use internal links to connect useful content thematically. In addition to ideas for content creation, social media is an effective way to promote your content and improve SEO. Check out How To Monitor Social Media In 13 Minutes A Day to help you get started. By familiarizing yourself with the basic terminology and best practices mentioned here, you can effectively manage your budget and get the results you want for your business. Better yet, with many of the tools we have recommended, you can already get started to improve your own SEO on your own "terms" (no pun intended). Lastly, an important point to remember: SEO is more than a one-time purchase or fix. It is a strategy that requires ongoing attention. 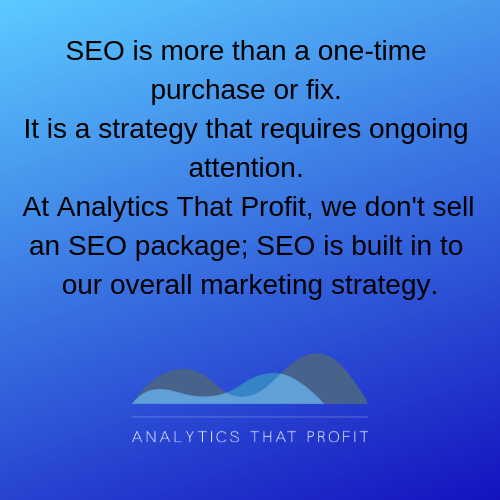 At Analytics That Profit, we don't sell an SEO package; SEO is built in to our overall marketing strategy. Learn more about How To Have Digital Marketing That Works.